Applied Biosystems 7900HT Fast Real Time PCR System Needs Mainboard Replaced . New Life Scientific, Inc. 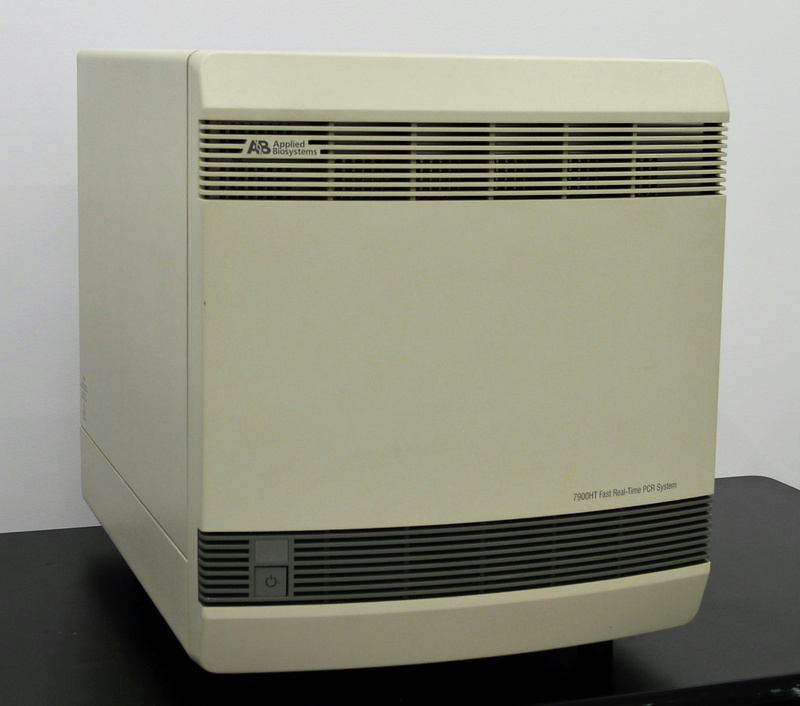 The Applied Biosystems 7900HT Fast Real Time PCR System is in good cosmetic condition, but it is not fully functional. New Life Scientific technicians have tested the instrument and determined that the mainboard needs replaced. The technicians could not get the 7900HT to connect to a PC and used a mainboard from another PCR system. The substituted mainboard in this instrument successfully connected to a PC using Windows 7 Pro, running SDS 2.4.1 software. However, the original mainboard was placed back into the tested instrument; the substituted board was not a feasible replacement to fix the instrument. No assays were performed using this PCR system and, after replacing the mainboard, the customer will need to have the instrument calibrated. New Life Scientific does not stock or sell reagents and are not trained to calibrate instruments like this. For more information, please consult the photos and table, or visit the manufacturer's publication here.